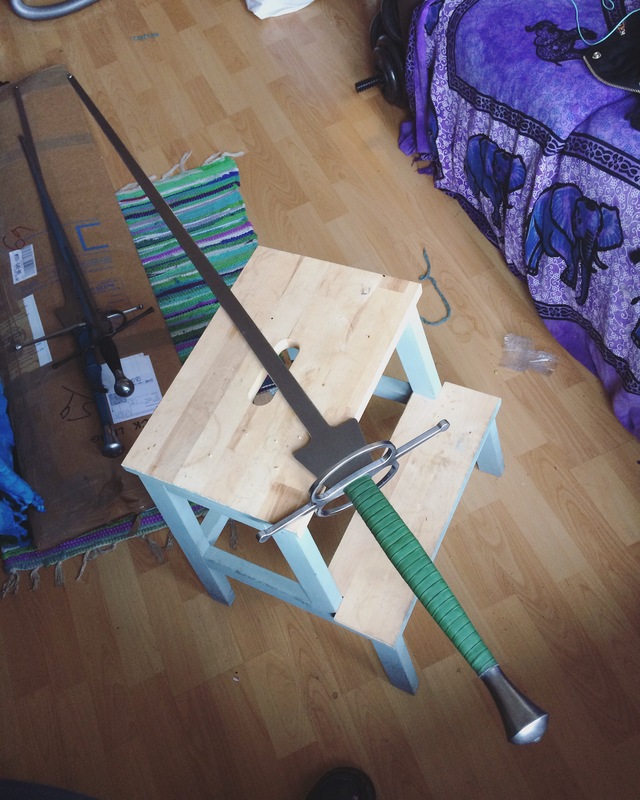 I very firmly believe that swordfighting is tied to my sustained mental health. When I was finally diagnosed and medicated for my ADHD (though it’s a bit more complex than that – as always), my sudden improvement in function had the unfortunate side-effect of murdering my social life, and causing a breakdown in the specific friendships that involved stabby stab slashrawr. It hasn’t been good. Until now, I hadn’t fought for over a year. I feel so much better after tonight. Keep fighting, new fighty contact of mine. Our forebears (probably not actually bears, damn it), if you go back far enough, were likely the nastier kind of ape (leaning more toward the chimp than the Orang’? )… Conflict is in our nature. Fighting is in us, at our cores. Hell, history shows us that regardless of our evolutionary ladder. It doesn’t have to be in cruel or fearful spirit for it to exercise the brain and the body in the ways often missing from the modern ‘civilised’ ‘uman. A life without fight is as unhealthy as a life of eating processed sugars. And I eat enough of those already. A sword in the palm, though? Way better than yoga.